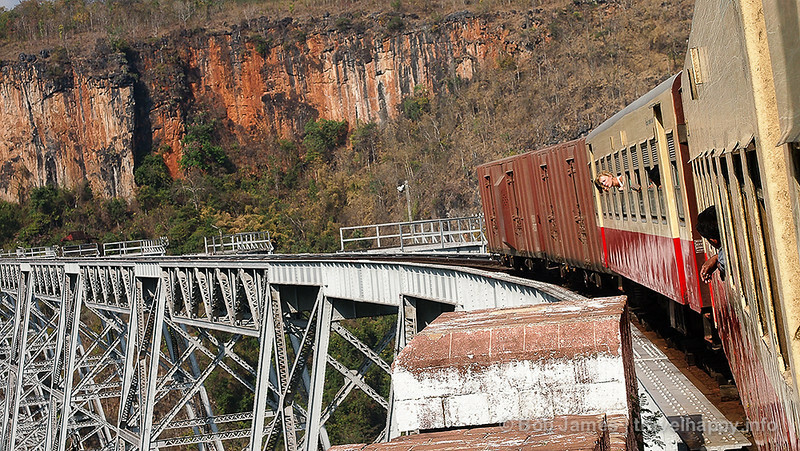 One of Burma’s most stunning man-made marvels built by the colonial British, Gokteik Viaduct is a spectacular railway bridge over 100 metres above the ground and nearly 700 metres long. Bob James takes the plunge. 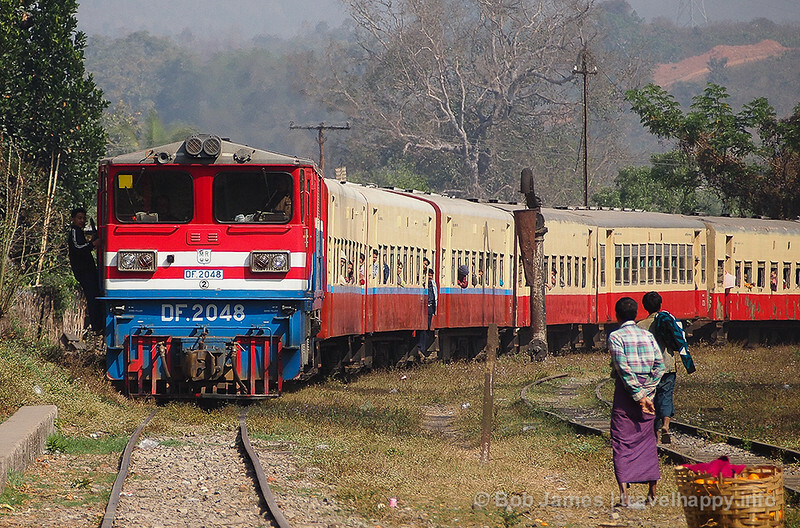 There are definitely faster ways to travel between Mandalay and Hsipaw than by train. You’ll spend an entire day of your Myanmar adventure going by rail, but it’s worth it because, in this case, the journey IS the adventure. It’s not the train itself, which, although colourful, is a broken-down relic of the 1950s. It’s not the scenery, which is often obscured by trees. It’s not even the stupidly low ticket price. No, the reason you endure up to 14 hours making a trip that can be done by car in 4.5 hours is the Gokteik Viaduct. Constructed by British colonialists in 1901, Gokteik was once the longest railway trestle in the world. 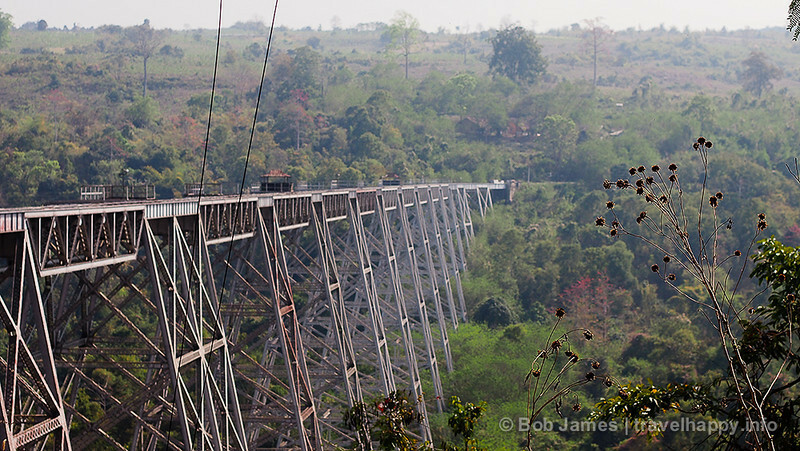 Located near Nawnghkio, about 100 km from Mandalay, the bridge was fabricated by Pennsylvania Steel Co. and shipped overseas, with assembly overseen by Sir Arthur Rendel, engineer for the Burma Railroad Company. Stretching 689 meters from end to end, the viaduct has 14 towers that span 12 meters along with a double tower 24 meters long. These 15 towers support 10 deck truss spans of 37 meters, along with six steel-plate girder spans 18 meters long and an approach span of 12 meters. Many sources have put the height of the bridge at 250 meters. This is supposedly a measurement to the river level as it flows underground through a tunnel at the point it passes underneath the trestle. The true height of the bridge as measured from the rail deck to the ground on the downstream side of the tallest tower is 102 meters. In either case, it’s a quite a long way down. 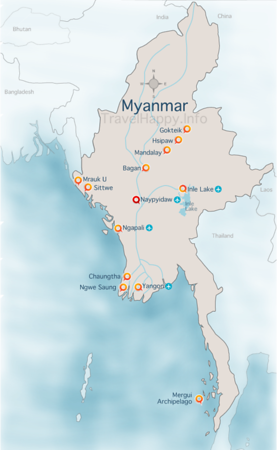 The smart traveler gets off at Pyin Oo Lwin, the former British summer capital, and either stays there overnight or travels on via road 90 minutes to Mandalay, which costs about 36,000 kyat ($45). (Buses likely won’t be available at the time you’ll arrive in Pyin Oo Lwin.) There’s really nothing of interest along the train route from Pyin Oo Lwin to Mandalay. Budget travelers, or those who really want to “go native” can remain on the train for an extra $3 for upper class. But unless you’ve booked ahead, you may end up sleeping on the street in Mandalay, as the train gets in past midnight. As in many countries, train stations are wonderfully colorful places and Hsipaw’s train station is no different. The train is never on time, so you’ll get plenty of chances to mingle, buy fresh fruit and people watch. On the train, however, most tourists end up sitting together, choosing the soft, reclining seats of the “upper class” cabin over the wood benches of the cattle-car regular class for such a long journey. The train also makes many stops – long ones – where you can get out, have a quick meal or beverage, do some shopping and mingle with the locals. Some youths come to the station just to meet foreigners and practice their English and never once ask for money. Finally, you’ll reach Gokteik. The train moves walking speed across the bridge, which may have been the epitome of engineering when it was built but now is a crumbling antique, which only adds to the white-knuckle experience. Crossing it is a mix between a high-wire act and the old wooden rollercoaster at Coney Island. The engineer goes as slowly as possible to avoid the rocking motion that will further damage the bridge and, possibly, plunge the train into the river below. The slow, high passage does give ample opportunities for photos and if you make the crossing yourself, don’t put away the camera afterward. The northbound train likely will be crossing immediately afterward, giving photographers a chance to catch a shot of a train on the bridge. The crossing takes about 25 minutes, stops included. Afterward, audible exhales from those holding their breath can be heard, soon followed by the groans and yawns of travelers realizing they have several more uneventful hours until reaching their stop.